A selection of seamstresses and wigs creators to customize your dolls. Ball Jointed (BJD) & Fashion Doll jewelry, clothing and accessories. Each ensemble I make is lovingly created with quality in mind. Each outfit has hand-done finishing touches where needed. I use only high quality cottons. WELCOME! I create mini-couture for BJDs & fashion dolls, and make replicas of Princess Diana clothing. Each fashion has been created with the utmost attention to fit, structure and details; quality made to last. My goal is to provide quality fashions for the discerning doll collector and complete customer satisfaction! My doll outfits are created in a variety of mediums. I sew, crochet, knit, wool felt and enjoy decorating my pieces with embroidery. I sometimes use patterns made for dolls; but more often I recreate human sized patterns or create my own to preserve outfits from my own daughters childhood. I have been a doll collector for over 10 years now and find dressing dolls in my one of kind creations adds to my enjoyment of the hobby. I sew fitting mohair wigs, also various custom sizes by measurements, for many kinds of artist dolls and also Kaye Wiggs dolls. I make ready wigs and take custom orders, also can make multicoloured wigs. Welcome to ask closer! OOAK clothing, shoes, crochet, and patterns for BJD's. Thank you for visiting my shop. Hi all! In my Etsy shop you can find exclusive hand knitted and crocheted outfits for Kaye Wiggs MSD and YoSD. All outfits are handmade by me and my mom. We use only high quality materials to get quality things. Clothing for your Kaye Wiggs girls, made with love and details ! I offer handmade doll fashions for a variety of dolls. My doll models include bjds such as Kaye Wiggs' Miki, Mei Mei and Millie, Linda Macario's Agathe and Mimi from Jpopdolls. Other models are Dollstown bjds, MaskCatDolls, The Trinket Box Kids by Kimberley Arnold, Blythe dolls, Sasha dolls, Disney Animator dolls, American Girl dolls, and many many more dolls. 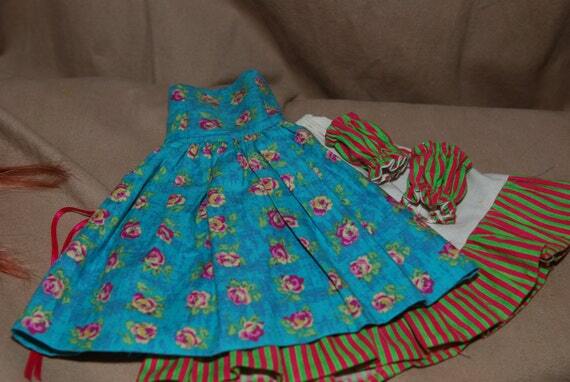 I made clothes for KW dolls, Blythe, Dollstown elf, my dolls and lots of other dolly stuff. Didn't find what you were looking for? Check out the original WeeDesignsForDolls shop on Etsy for more styles and sizes. Welcome! In my Etsy shop you can find Tibetan lambskin wigs for your BJD dolls! All wigs are handmade by me. I can take custom orders for sewing of wigs any size, model and color. Welcome to my shop. I sell doll related items. You'll find wigs, shoes, clothing and other misc for your dolly needs.